The man climbed over the counter and opened the register drawer. 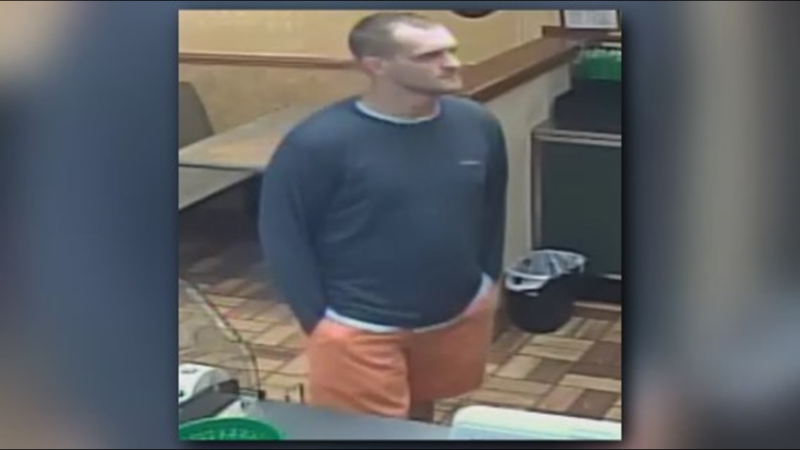 GWINNETT COUNTY, Ga. -- Gwinnett County detectives are looking for a man who they said robbed a Subway sandwich shop but came back for his sandwich after he almost forgot it. 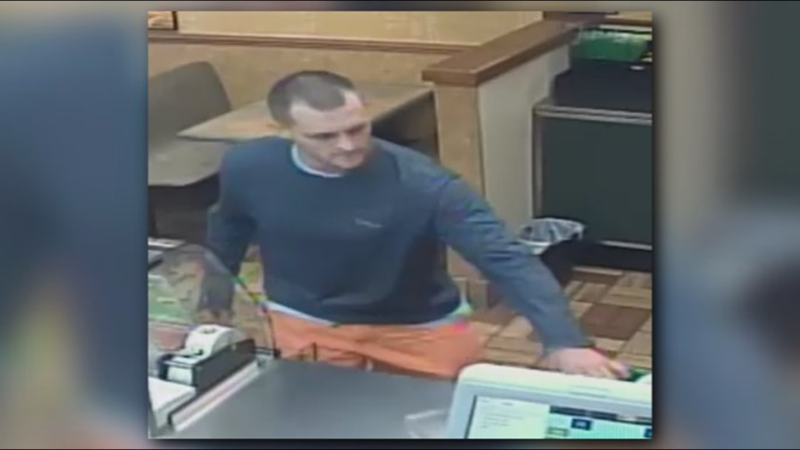 On Oct. 9 at about 10:15 a.m., investigators said he came into the shop in the 3200 block of Medlock Bridge Road just outside of Norcross and ordered a sandwich. 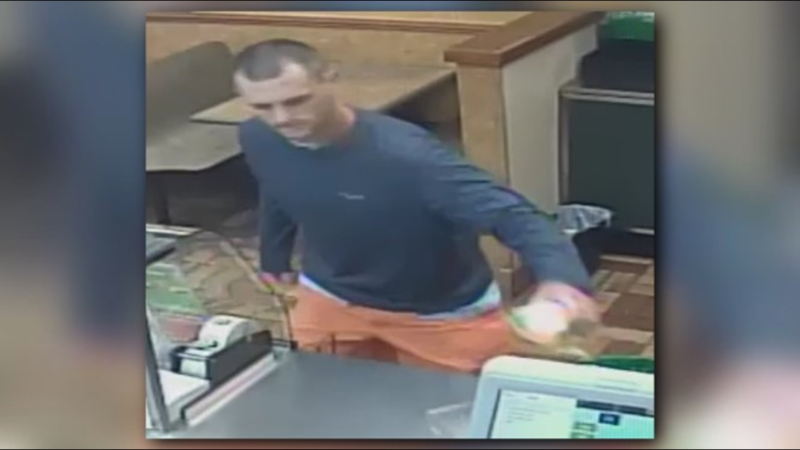 When he got to the checkout counter, the police said he climbed over the counter, demanded cash and tried to open the register drawer. 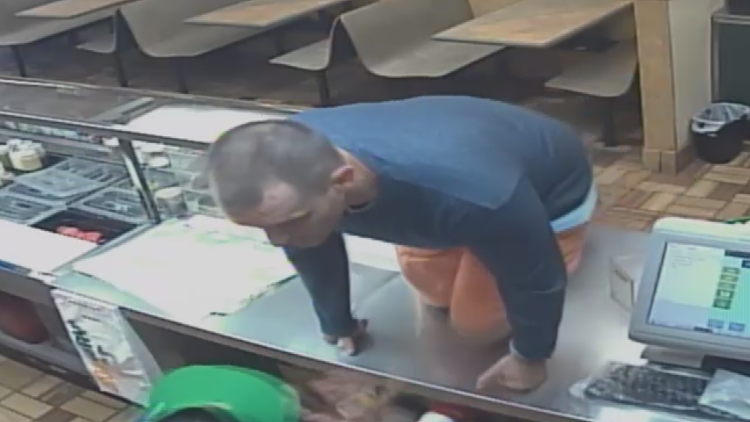 Detectives said he got about $100 in cash and ran to the door -- but quickly came back and grabbed his sandwich before heading out - the sandwich in hand. 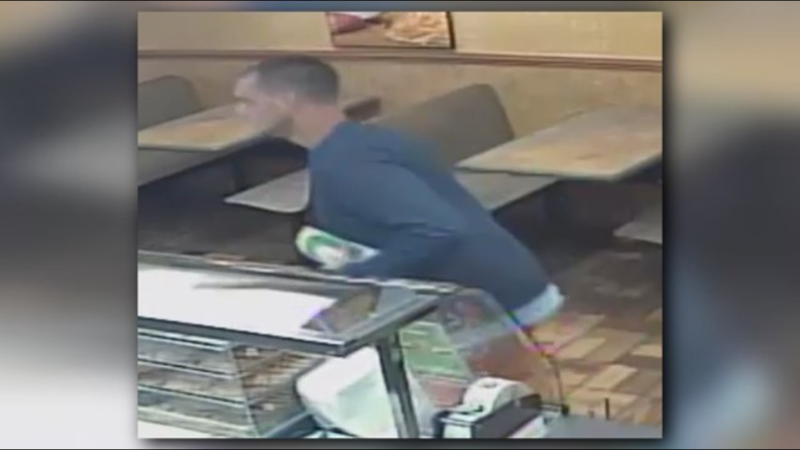 A man suspected in the robbery of a Subway sandwich shop in Gwinnett County last week was caught on surveillance video doubling back into the shop to grab his sandwich after stealing money. Investigators identified the suspect as Zachary P. Miller. He is a 34-year-old white man who is about 6 feet 3 inches tall and 220 pounds. He was last seen driving a black 2003 4-door Acura 3TS with Tennessee tag number R9230J. Miller is wanted on multiple active warrants out of Tennessee and multiple jurisdictions in Georgia. Anyone with information about Miller is asked to call Gwinnett County detectives at 770-513-5300. Anonymous tipsters can contact Crime Stoppers Atlanta at 404-577-TOPS (8477). Crime Stoppers tipsters could receive up to $2,000 for information leading to an arrest an indictment in the case.